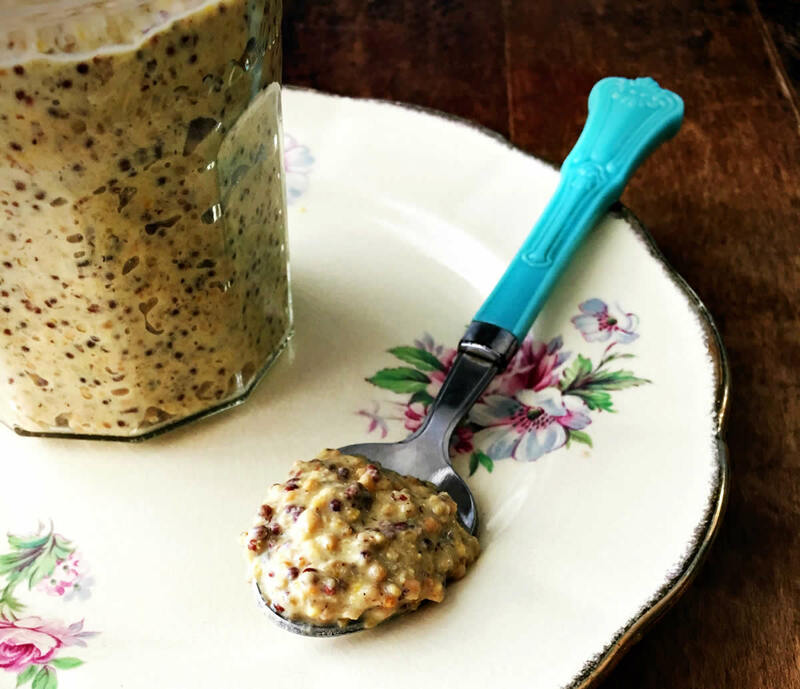 Some recipes suggest that mustard seed be soaked in water for 2 hours before grinding. 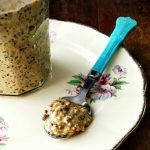 Grind whole mustard seed for several seconds (keep them coarse). Add seed mixture with dry mustard powder and water in glass bowl and stir well. Let stand 10 minutes. Stir in vinegar. Pour into glass jar, tighten lid and refrigerate 24 hours prior to use. The wait time is essential for bitterness to dissipate.